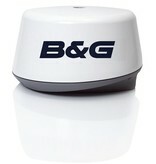 B&G Broadband Radar a.k.a. Frequency Modulated Continuous Wave (FMCW) radar is nothing new... but, it was when we first launched the technology in 2009! Understanding the shift in radar requirements, we have developed superior short-range target detection and unrivalled target separation. Armed with this new technology boaters received a previously unseen level of situational awareness to improve safe navigation in any visibility. However, despite conventional pulse radar being no match for Broadband Radar in its short-range capacity, it still offered more range... until now that is! 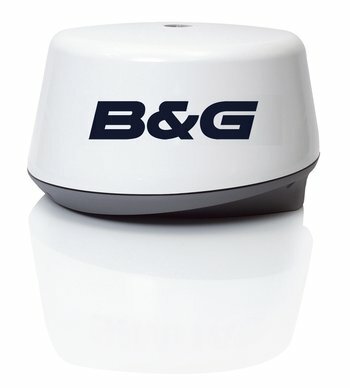 Broadband 3G Radar will undoubtedly mark the beginning of the end of conventional pulse radars on recreational craft as the new 3G boasts a massive 30% increase in range over the original BR24 whilst retaining its impressive short-range credentials. Utilizing solid-state technology, this breakthrough provides superior target detection and separation, low power consumption and extremely low radiation, ease of operation and a new level of navigational safety.